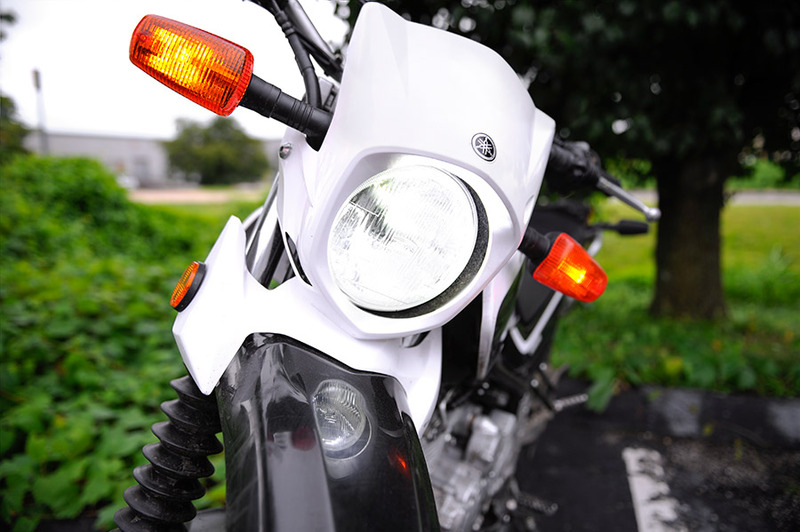 Motorcycle LED Headlight Conversion Kit - H11 LED Fanless Headlight Conversion Kit with Compact Heat Sink: Customer Submitted Photo of LED Headlight Replacement Bulb in Kawasaki Z125 Pro. Thanks Burton! 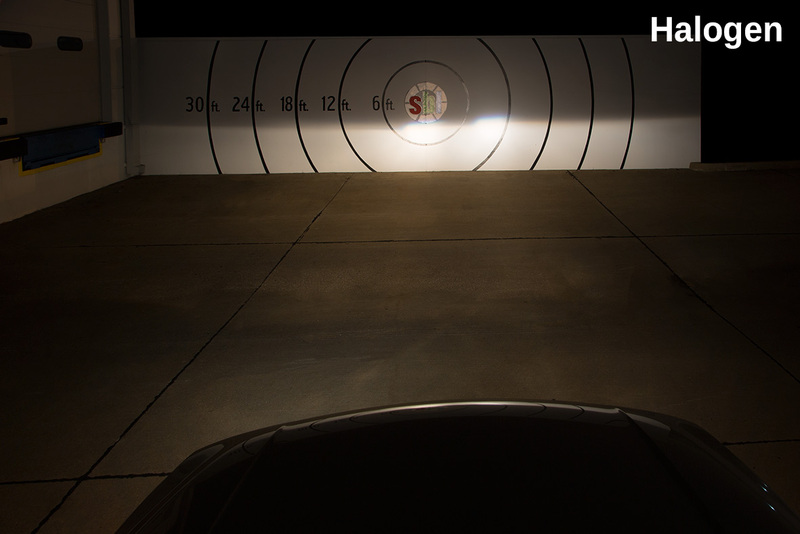 Increase your safety and visibility with this H9/H11 LED headlight kit. 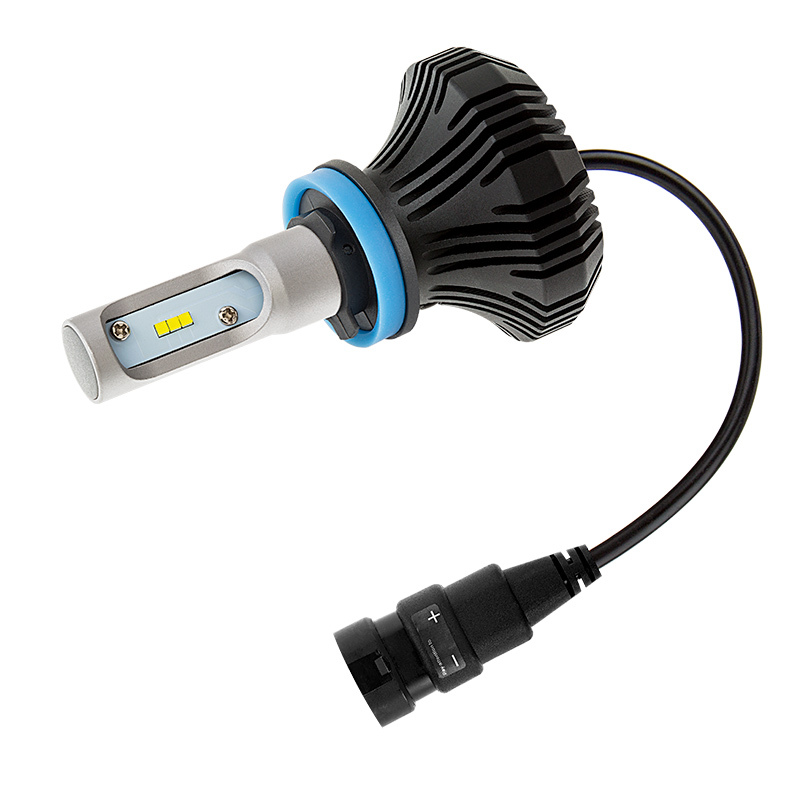 The single-intensity LED headlight bulb emits 2,000 lumens of cool white illumination and features 3rd generation cooling technology. 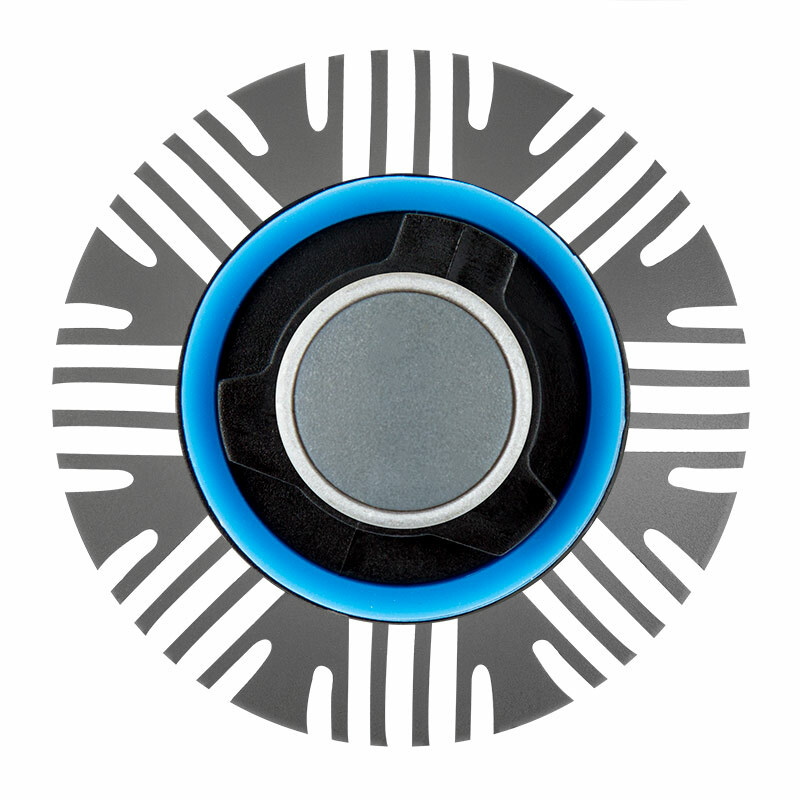 It has an integrated heat sink instead of a short-lived fan or bulky braided heat sink. This allows for a longer-lasting bulb and easier installation in tight spaces. 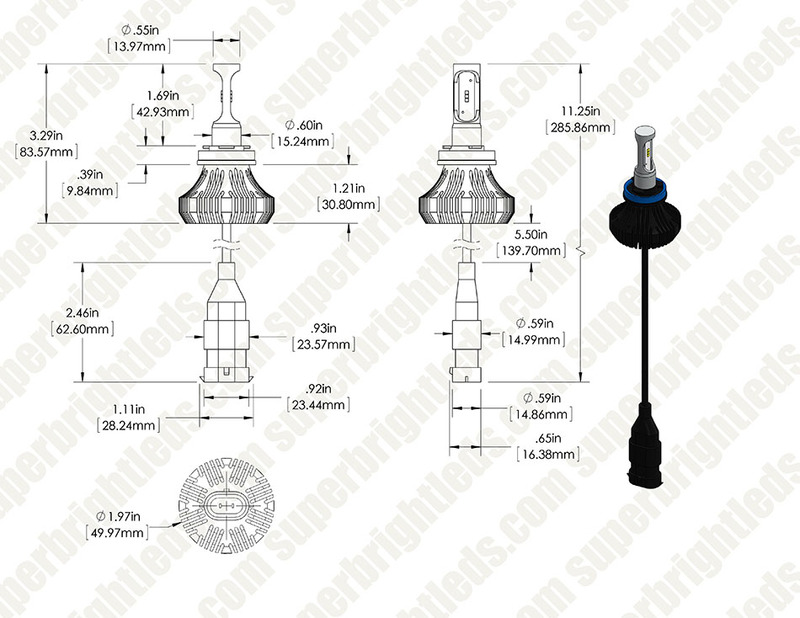 It also has an internal driver, which eliminates the need to mount an additional part and locate an appropriate mounting spot. 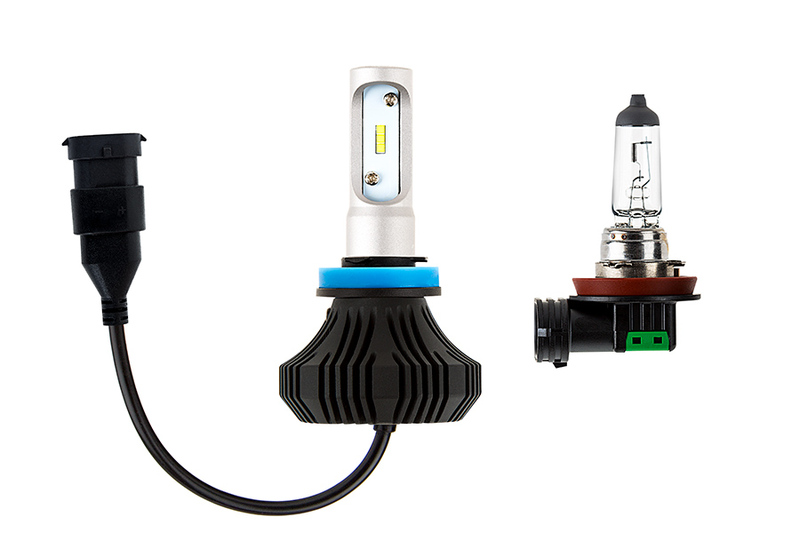 The compact bulb lasts 13 times longer than halogen bulbs and 3 times longer than HID bulbs. 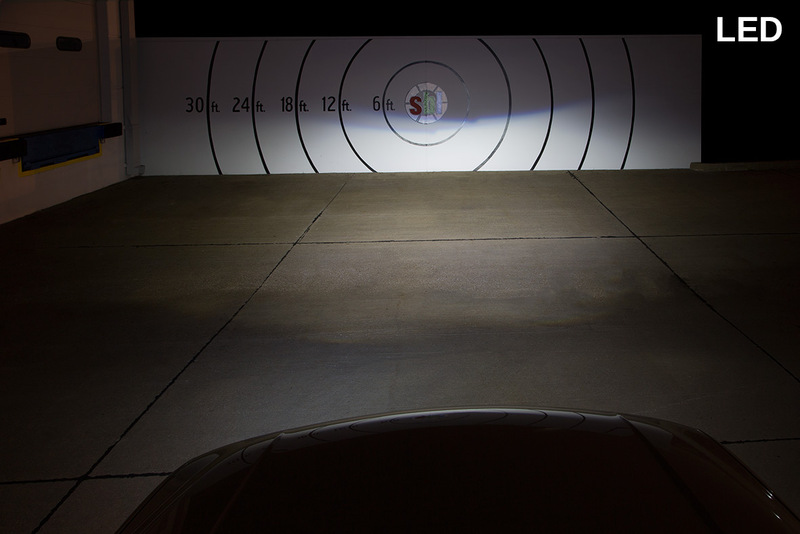 The bulb's LED array is designed to mimic the filament in halogen bulbs—creating a closely matched beam style. 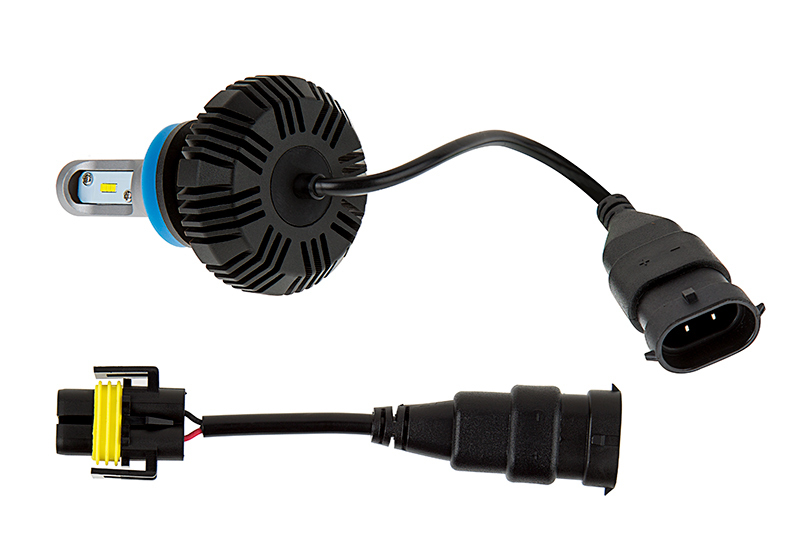 This waterproof, CAN Bus compatible bulb operates within a wide 9-32 VDC range. 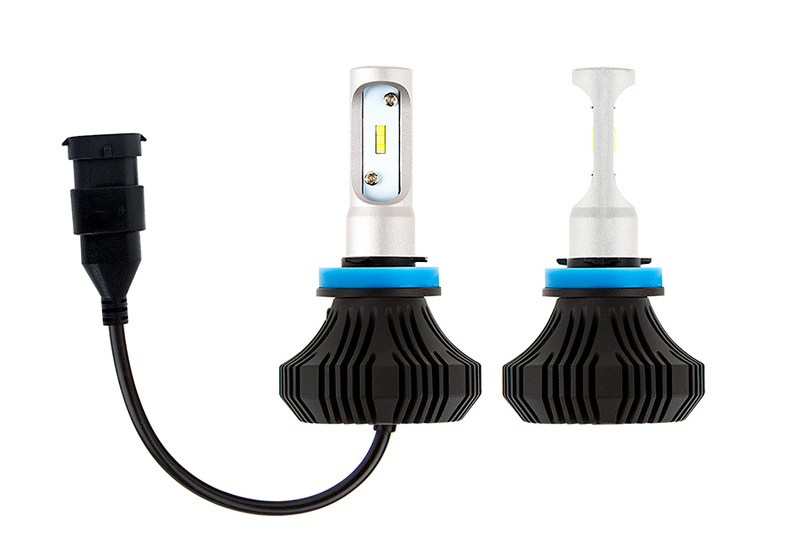 This long-lasting kit includes 1 LED headlight bulb and 1 H9/H11 plug. Price per bulb. I bought this for the high beam headlight on my Harley. 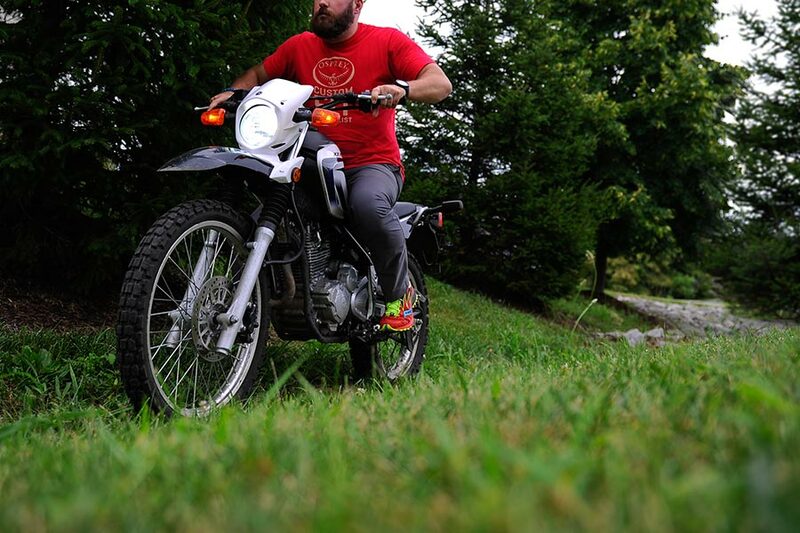 Really does a great jog without having to pay hundreds of dollars for the Harley conversion kit. I didn't need the kit since these were plug-N-go on my 2008 Ultra. Exactly what I was looking for! 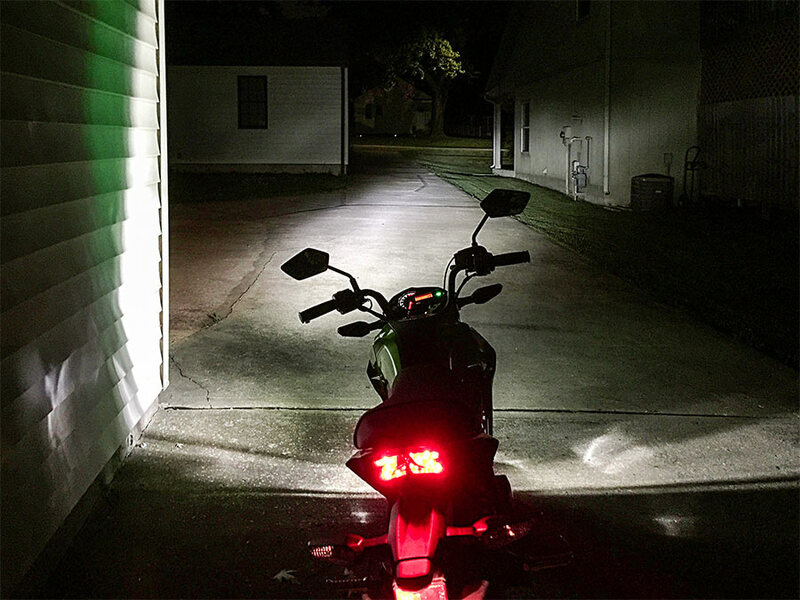 I added LED strips to the headlamp on my 2008 GSXR-600 which made my H11 headlight look yellow. 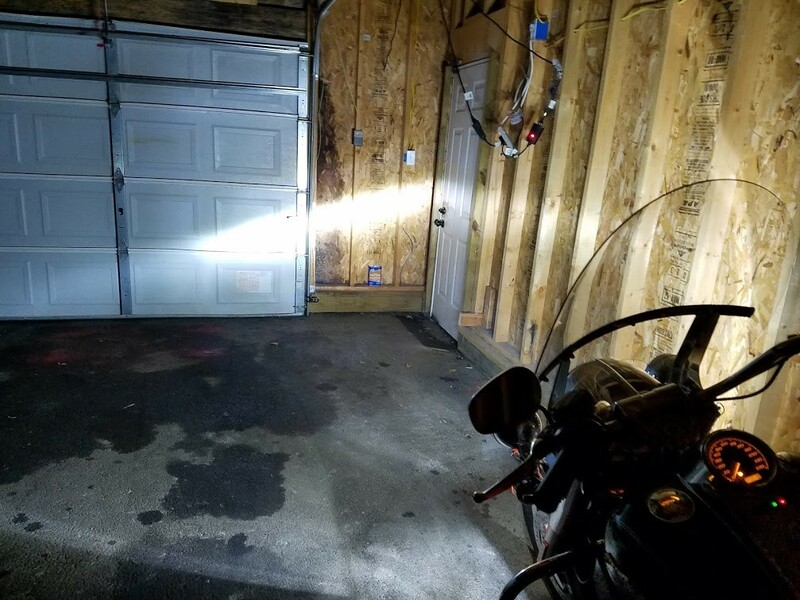 After installing this H11 LED, I received the results I was looking for. These bulbs were direct plug and play with my 2015 KTM RC390. 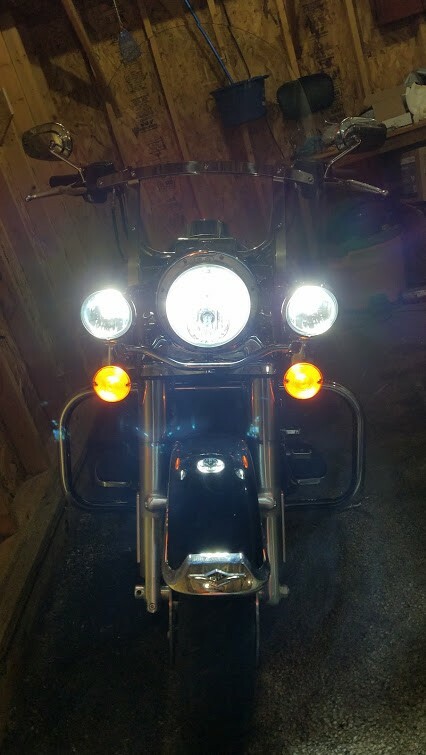 The color makes for a much more modern and cleaner front end of the bike and the lights are actually brighter than stock, while drawing less current from the battery.